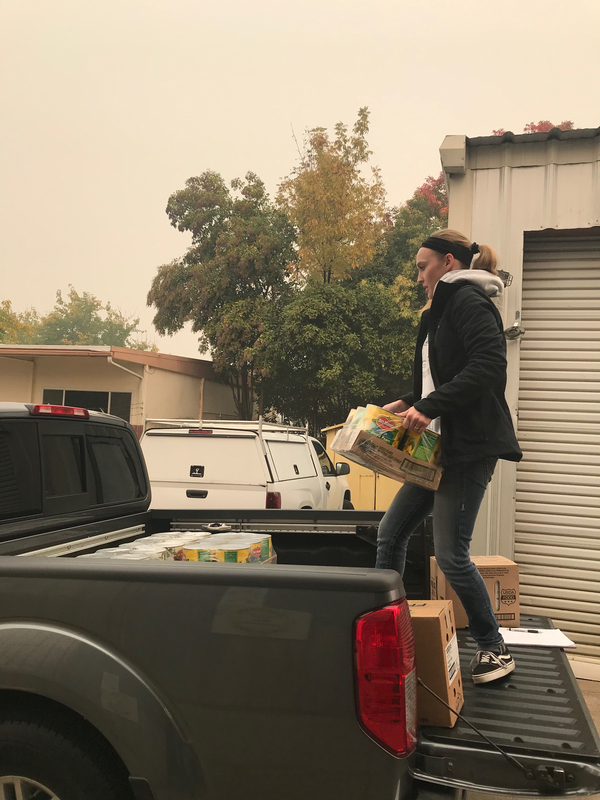 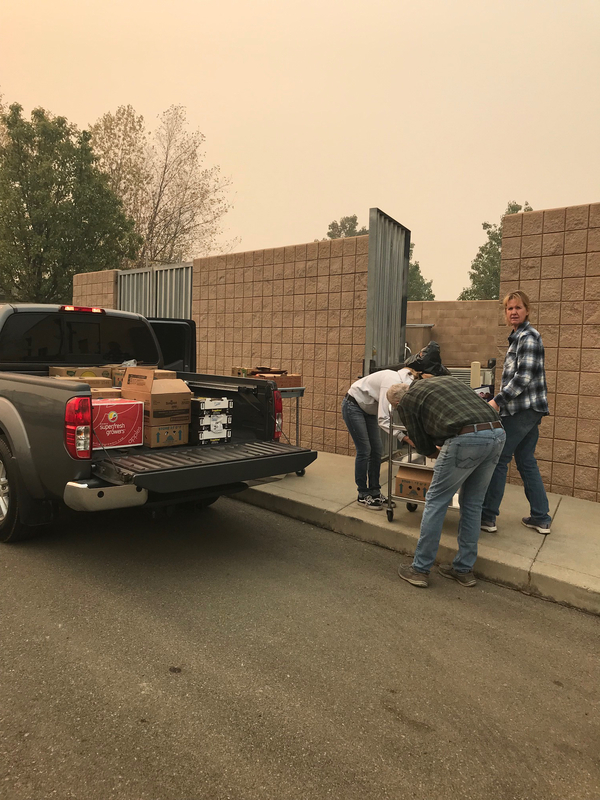 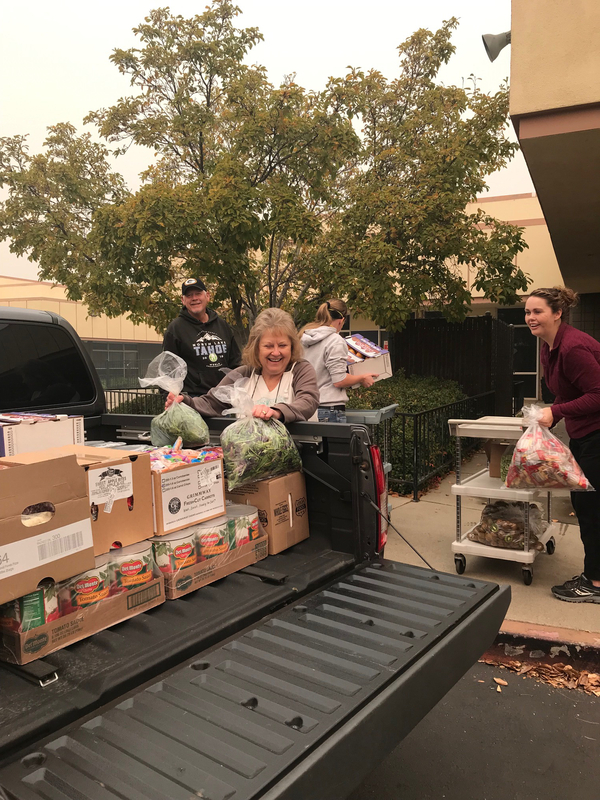 On Saturday, November 10, Oroville City Elementary School District cafeteria staff, maintenance staff and their families answered the call to action. 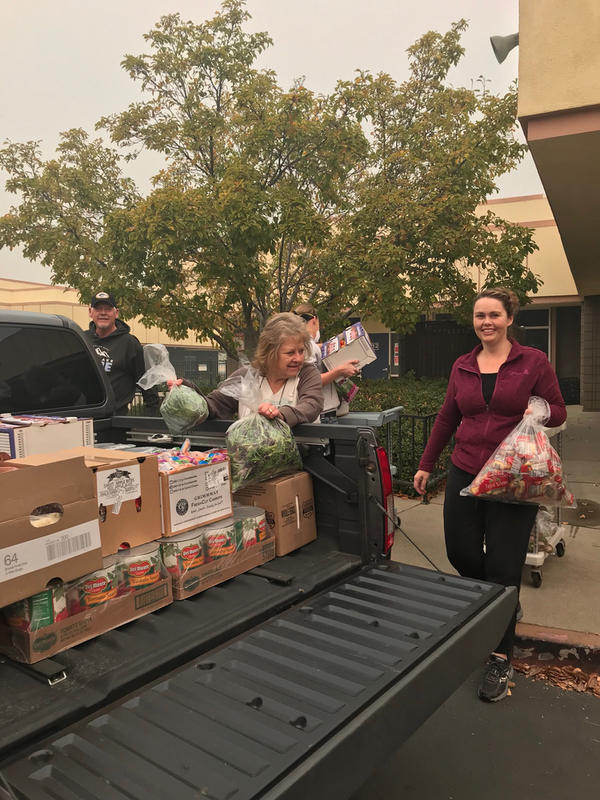 They loaded up all perishable food at each OCESD school site and warehouse. 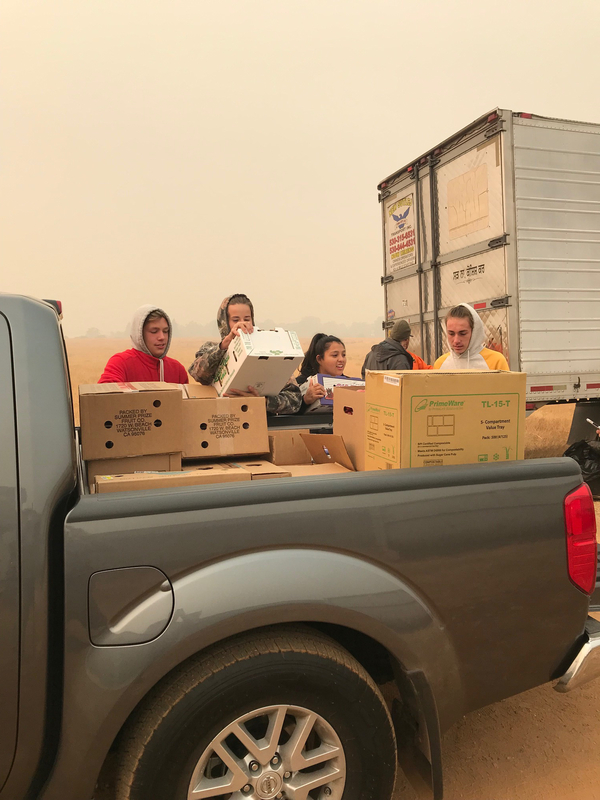 They then drive the truckloads of food to the evacuation shelter at the Oroville Church of the Nazarene. 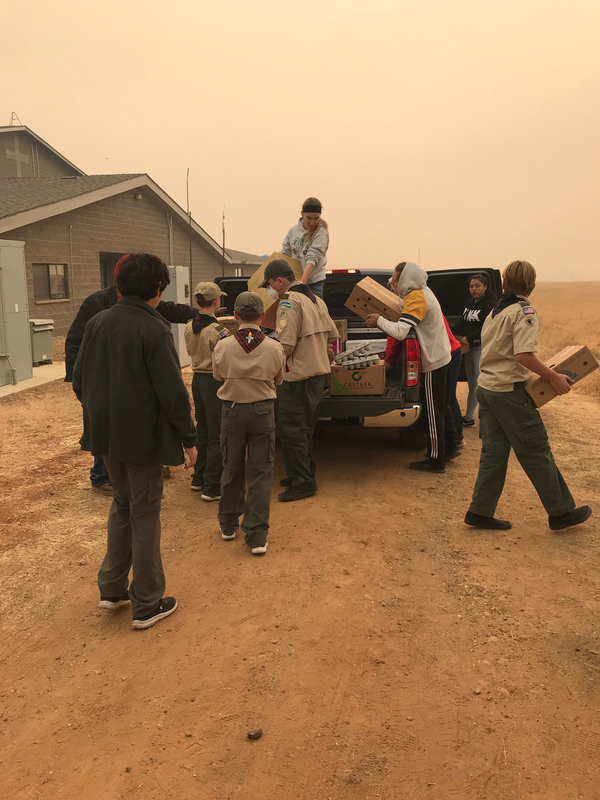 Volunteers and Scouts helped them unload all of the food.